Looking for an edge? Get exclusive access to effective online innovation training. And, it's designed for you, the busy professional. Learn to Innovate, Take Action, and Grow Your Success. The tools you need to get ahead and grow your personal success. 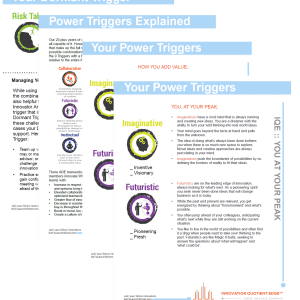 The Innovation Quotient Edge assessment which shows you your unique innovation Power Triggers. On-the-go micro-lessons with 3-minute video lessons that pack a punch. Actionable tools you can implement immediately. Innovation that stays top of mind with weekly emails allowing you to hone your skills. 24/7 access to all the innovation tools, resources and interviews. You can access what you need in the moment. Incredible value. We designed our IQE Pro Innovation Toolkit with the busy professional in mind. It delivers easy-to-use tools you can implement daily. Accessible 24/7. We deliver a set of tools and content that can be used everywhere. Use them in the office to get a leg up. Use them at home to increase your effectiveness and find more time for the things you care about. A deep understanding that Innovation is more than a point-in-time exercise. You'll learn to live it. A visible difference. See the change as you perform better and bring innovative thinking and ideas to your organization. Mindset Shift. You'll shift your mindset and include innovation in everything you do. Unlock your innovation advantage and be the rock start innovator with a stronger, more valued voice! 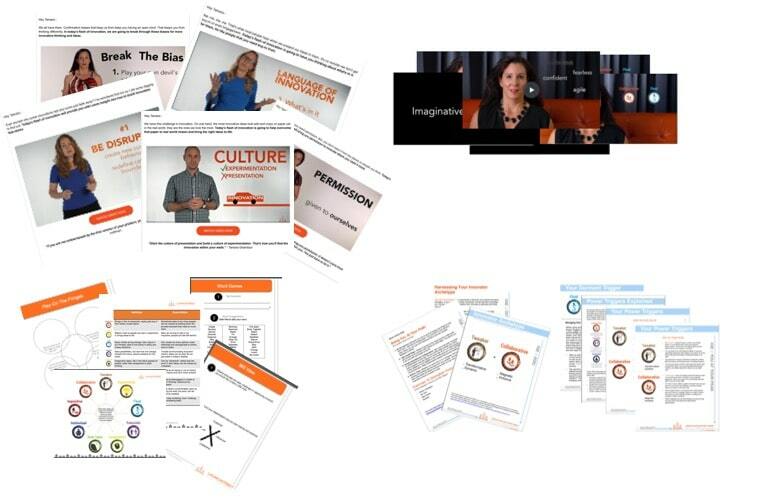 Want the IQE Pro Innovation Toolkit for your team?